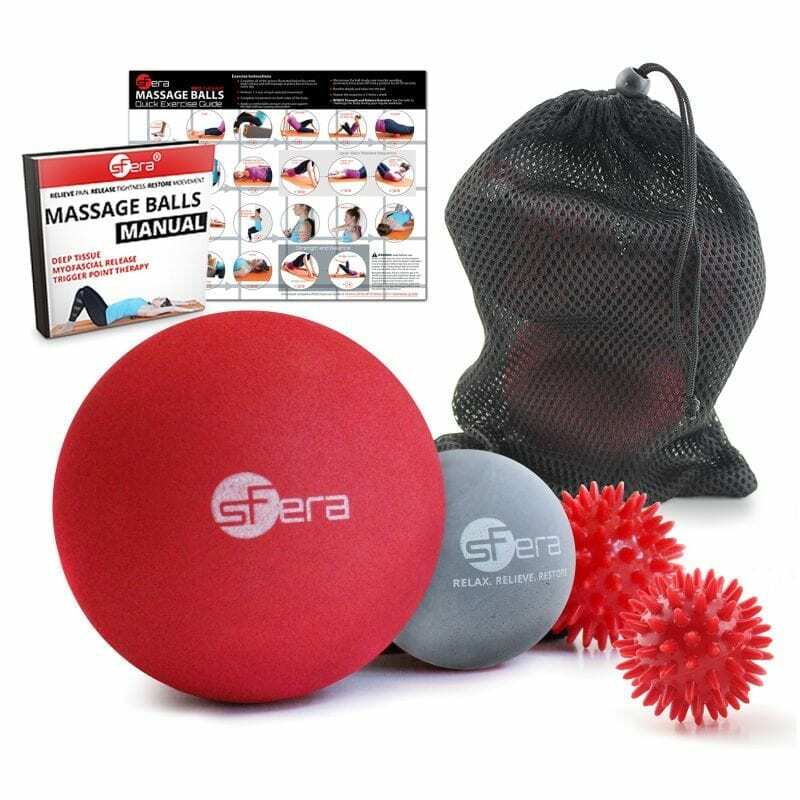 sFera PRO massage ball set is the most complete self-massage set that will let you target all tight spots in your body. No need to buy multiple products that are hard to store or get lost over time. 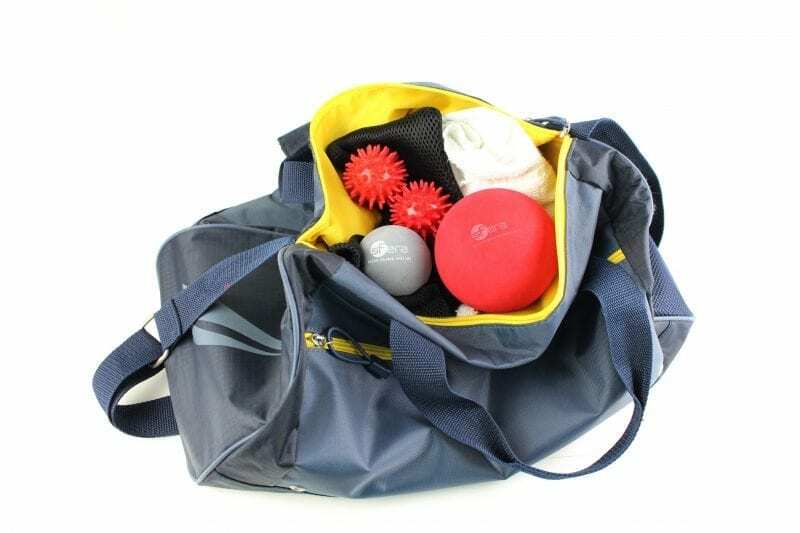 This one set includes 4 lightweight types of massage balls in a convenient tote bag. Smooth balls have a unique design that mimics the touch of a human hand. The balls are solid with a hard center but still a little give on the surface. This design ensures the most comfortable and effective amount of pressure for deep tissue and trigger point release. Spiky balls are hollow on the inside with moderately hard spikes. Use them on your feet, hands, scalp or place them symmetrically along the spine to release tight back muscles. Spikes act as mini acupressure points penetrating soft tissues to increase circulation and release tightness. Lifetime guarantee: Love the set or your money back.